Valley regional transit will soon be partnering with Lyft. MERIDIAN, Idaho — Valley Regional Transit is partnering with Lyft to provide cost-effective transit connections to 14 ValleyRide bus stops. The new program, called Lyft Transit Connections, will begin operations on Monday, January 28, 2019. Transportation to the 14 identified bus stops will cost riders $2. 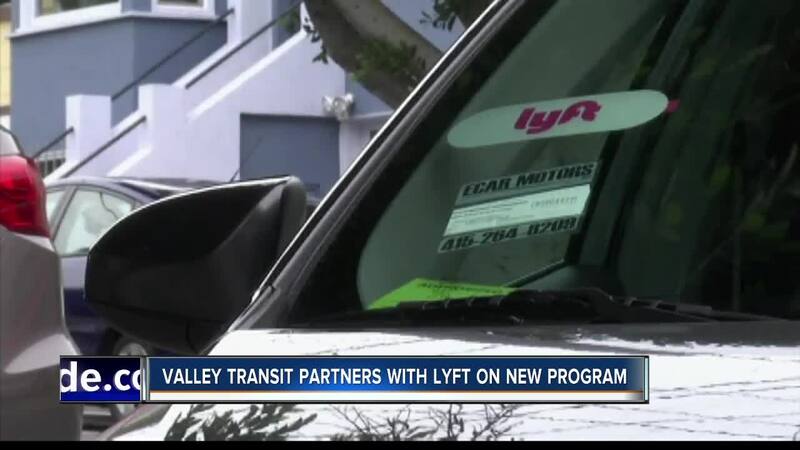 According to a press release, the partnership with Lyft is designed to provide those living longer distances from a bus stop the opportunity to connect to ValleyRide bus services through a convenient and affordable on-demand transportation program to and from their home. Here is how the Lyft to Transit Connections will work: riders will need to download the Lyft app and set up an account if they do not already have one. They will enter promo code VRT19 into the ‘Promos’ tab and request a ride to one of the qualifying bus stops (or a ride home from one of the stops). The rider will pay $2 and VRT will pay up to $6 of the ride cost. The rider must be within the designated service area to receive the $2 fare. More information about Lyft Transit Connections can be found at www.valleyregionaltransit.org or by calling RideLine customer service at 208-345-7433.